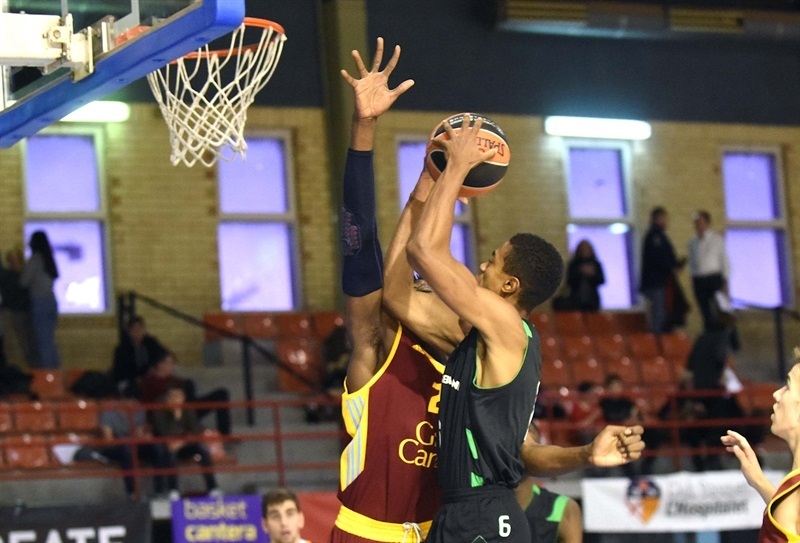 U18 ASVEL Villeurbanne finished the Euroleague Basketball ADIDAS NEXT GENERATION TOURNAMENT Ciutat de L’Hospitalet in third place after gaining an 81-90 victory over U18 Herbalife Gran Canaria. Theo Maledon poured in 35 points to go with 11 assists and 3 steals for and an index rating of 43 for ASVEL. Matthew Strazel added 18 points in the win. Gran Canaria placed fourth despite Jovan Kljajic tallying 23 points. 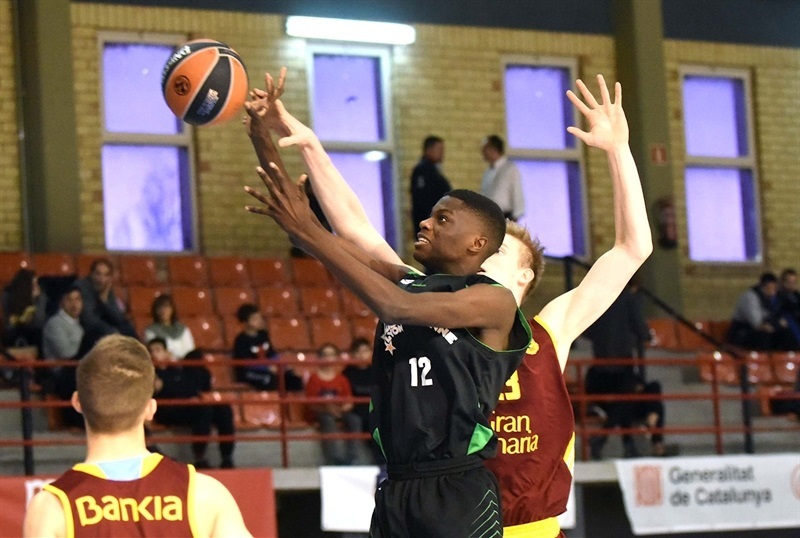 Biram Faye posted 20 points and 10 rebounds and Aleksander Balcerowski chipped in 16 points and 8 rebounds in defeat. Kljajic scored Gran Canaria’s first 12 points and the team led 12-11. His next basket - a three-pointer - had the Spanish side up 17-13, after which Luis Medina tallied 5 points to push the gap to 22-15. Gran Canaria led 24-18 after 10 minutes. Paulo Rodriguez played a big role in keeping Gran Canaria ahead in the second quarter with 4 baskets while Khalifa Diop had a big three-point play for a 36-32 lead. The Spanish side was up 41-38 at halftime. 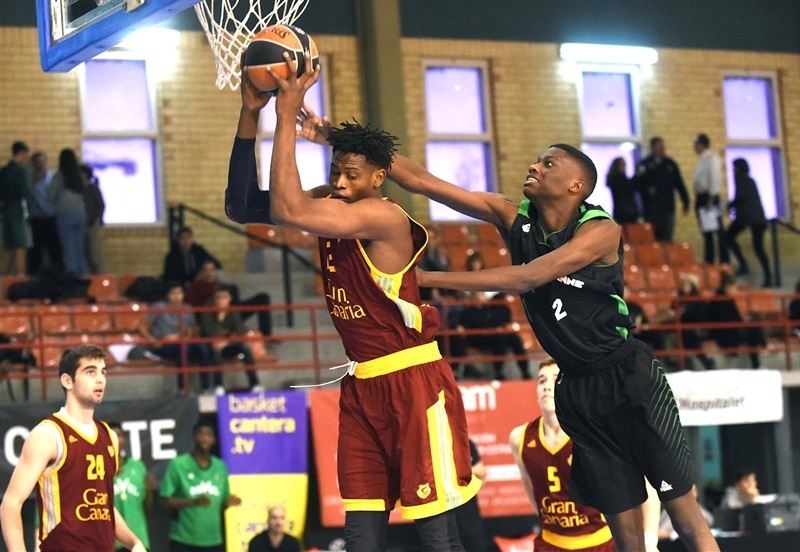 ASVEL began taking control early in the second half with Strazel scoring 7 points and Maledon nailing 3 three-pointers in a 6-18 surge for a 49-58 lead. Yann Goetgheluck came off the ASVEL bench with a pair of triples and Maledon added a three-pointer that made it 56-71 with the French team up 57-71 after 30 minutes. Kljajic drained a three to get Gran Canaria within 62-74, but ASVEL answered with the next 5 points and Gran Canaria was not able to get closer than 8 points with 27 seconds to play.